My lifestream started frenetically, reflecting the confusion and sense of disorientation which comes with immersion within a new field and a new learning environment. I made 25 posts in the first week of the course and also put an inordinate amount of time into crafting artefacts. In the first weeks of the course I was grappling with challenging and fascinating content and also with producing content in an entirely new way: via multiple feeds and sources. On reviewing those early entries, many are focused on the practicalities of working together. My reflection – my metadata – is either missing or tentative (see here, here and here, for example); I was, as most new learners are, operating within Bloom’s domains of knowledge and comprehension. As my lifestream progresses, the number of posts per week reduces (mostly – the tweetorial skewed this) but the entries become more focused and reflective as I begin to move into the domains of application and analysis. This is particularly marked after the mid-point review by James, in which targeted and specific advice about how to improve the blog was offered. Feedback works. A visual theme which run as a thread throughout my lifestream is the Instagram shot of my laptop in various places. I reflected on the significance of this recuurent image here. I was in many different places when I took these photographs, but I was also only in one space: our MSCEDC learning space. This image also reflects my life as a cyborg, augmented by an array of mobile technologies which enable me to work, study and communicate anywhere. In terms of stream feeds, Twitter dominates. On asking peers why they thought this was, ‘inertia’, ‘ease’, ‘connectedness’, ‘multimedia’ and guaranteed lifestream feed were all cited as reasons. For me, it was immediacy. I could quickly feel connected to other learners on Twitter, whereas blog communications were asynchronous; this was highlighted particularly during the tweetorial. In my experience, there was a lack of roaming between blogs ( I reflect on this immobility here). I made comments on others’ but, when visits weren’t reciprocated, I returned to Twitter and its sociable babble. My MOOC micro-ethnography artefact attracted by far the most comments of all of my blog posts. As I reflected on here, there are a number of reasons why this might be: I posted fairly early in the week (so the arena wasn’t saturated with work to comment on); I included an amount of personal information in the artefact; and, finally and most importantly, we were encouraged to do so. 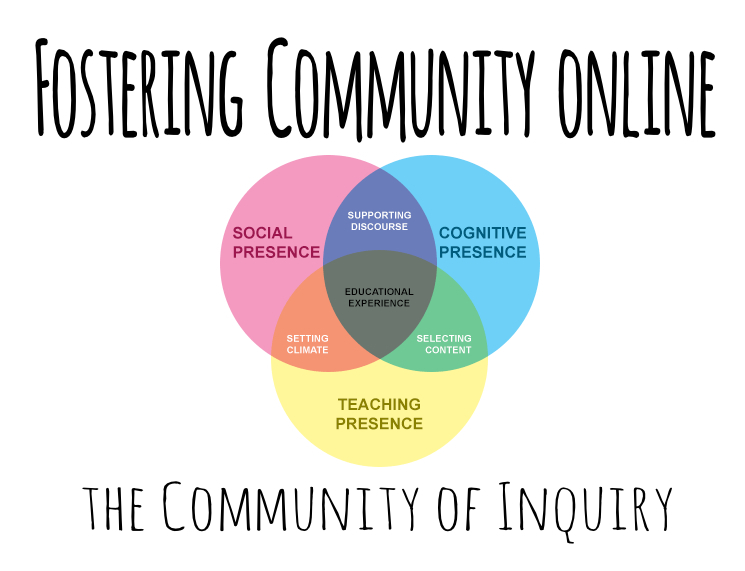 The movement between blogs was scaffolded by the learning task: teaching presence is key to building a successful online community of inquiry. Overall, what the lifestream traces is a journey from the domains of knowledge and comprehension through to synthesis, structured via the various artefacts we have created, and evaluation, via the weekly summaries and this final blog post. ‘First written as a Manga comic series in 1989 during the early days of the internet, Ghost in the Shell’s creator, Japanese artist Masamune Shirow, foresaw that this brain-computer interface would overcome the fundamental limitation of the human condition: that our minds are trapped inside our heads. In Shirow’s transhuman future our minds would be free to roam, relaying thoughts and imaginings to other networked brains, entering via the cloud into distant devices and sensors, even “deep diving” the mind of another in order to understand and share their experiences.’ From The Independent. This was a very entertaining exchange; Perry mused on whether we need to call computer games something else. Interactive experiences? Immersive art? What struck me, in relation to our EDC studies was Alderman highlighting how new, how emergent gaming is. Digital culture is new too and our definitions, our typologies and our relationship with digital technologies are nascent and in constant flux and change. A video of our email exchange about the final assignment can be found here. James, you have the password! It was useful to hear about others’ ideas and what tools and resources are going to be used. However, perhaps what was most useful was to hear that everyone else if just getting going with it too. I see much of my world through this screen and not through real windows. I am present and not present in my new office. Physically present but elsewhere, engaged in an email conversation about our final assignment. As I reviewed my lifestream, I began to think again about ‘presence’ and ‘where’ ‘I’ have been throughout the duration of this course. In terms of co-presence, (Warburton, 2009) we have moored in Twitter for a range of reasons. Warburton, S. (2009). Second Life in higher education: Assessing the potential for and the barriers to deploying virtual worlds in learning and teaching. British Journal of Educational Technology, 40(3), 414-426.